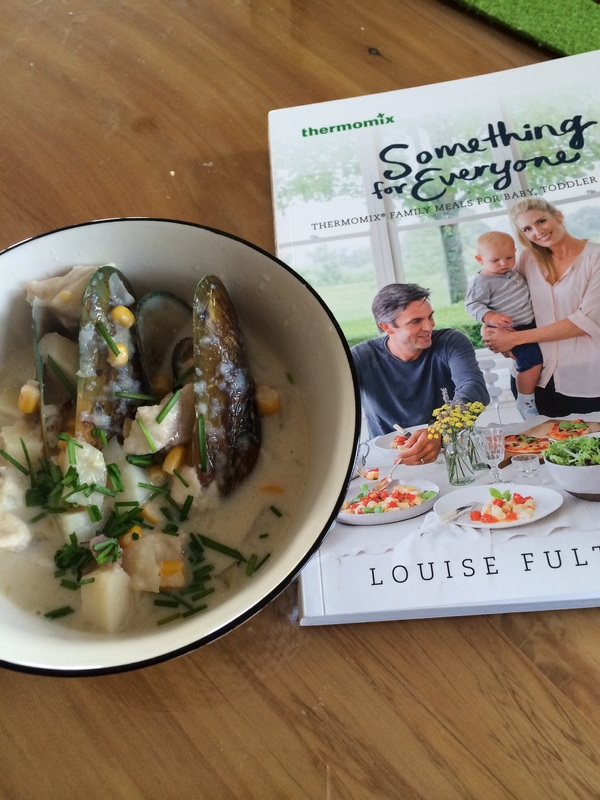 yahoo … A new Thermomix cookbook arrived today so had to pick a recipe from it. Seafood chowder is super yummy. Blended and sautéed, onion, celery, garlic, added the bacon, flour, stock, and milk and potatoes to cook soup base. Then used the varoma to steam mussels and fish. Topped with chives. Ready for afternoon tea and dinner. Great easy family meal.